After a summer of commitment and hard work for our family, this extraordinary accessibility project which Jason Lajeunesse made happen is now, amazingly, complete. 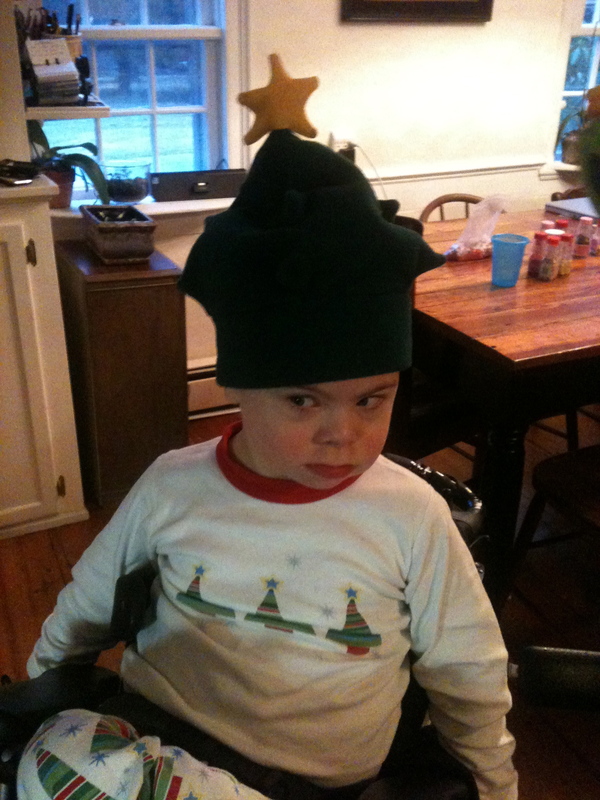 This project makes it possible for us to care for our profoundly disabled earth angel from home. 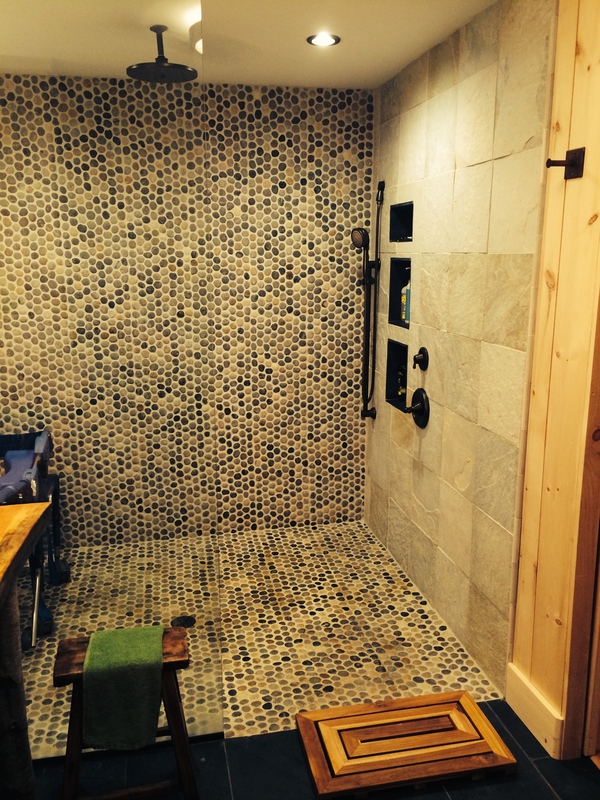 Our new accessible walk-in shower allows us to bathe Miles safely now. Daddy Stephen has worked heroically these last months to tackle all final-phase finishing work. 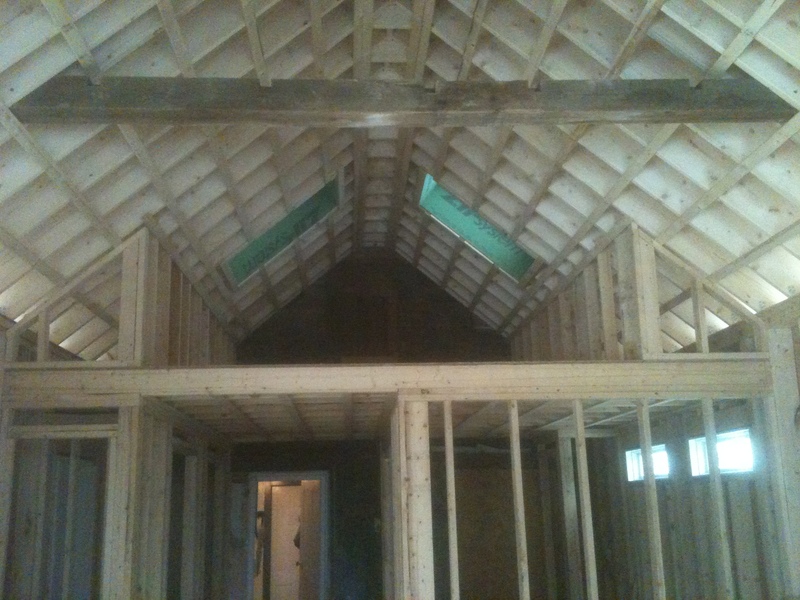 We are very lucky that he is a skilled tradesman who had the skill and energy to complete this work largely by himself. 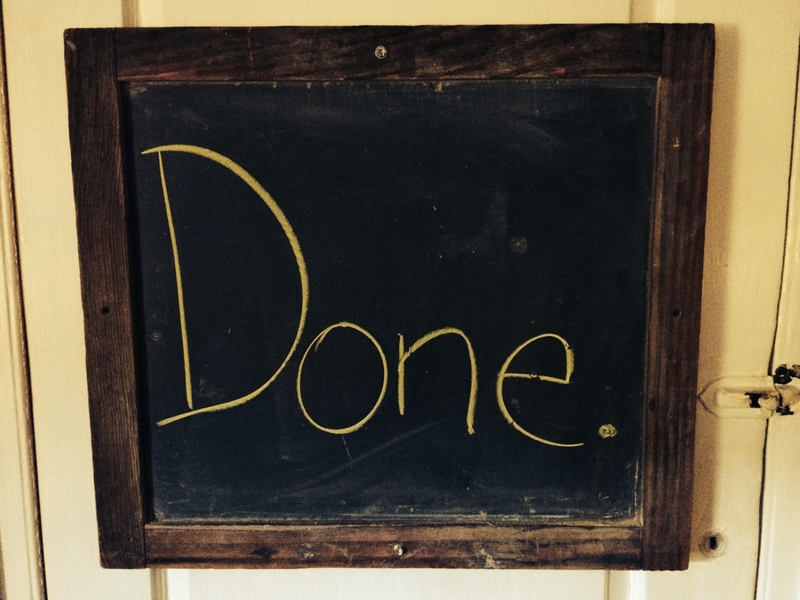 His list of tasks was very long; at times it felt like we would never finish. Most weeknights, he would come home from the usual twelve-hour day in Boston, quickly eat dinner, and work late. Weekends were workdays with rare exception. 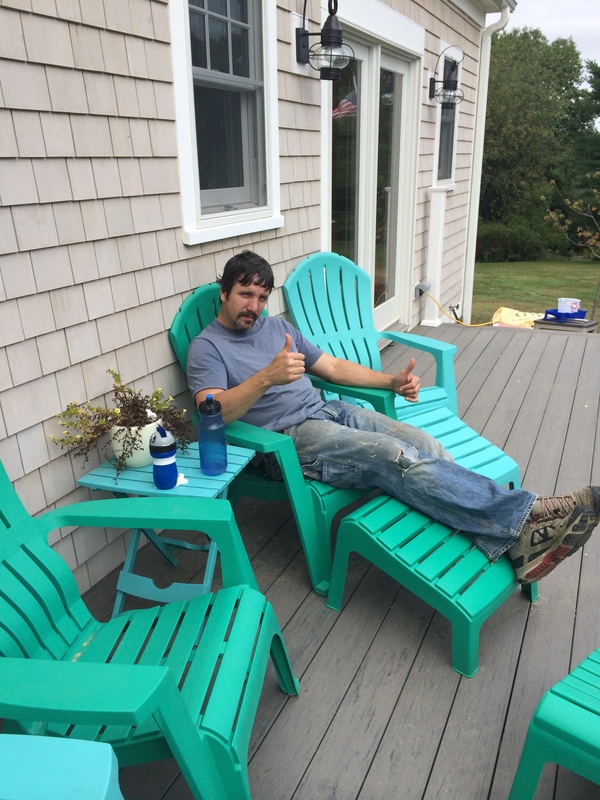 Stephen taking a rare break at the very end of the project. He was deep-down tired after working on it nearly every free minute the past year. 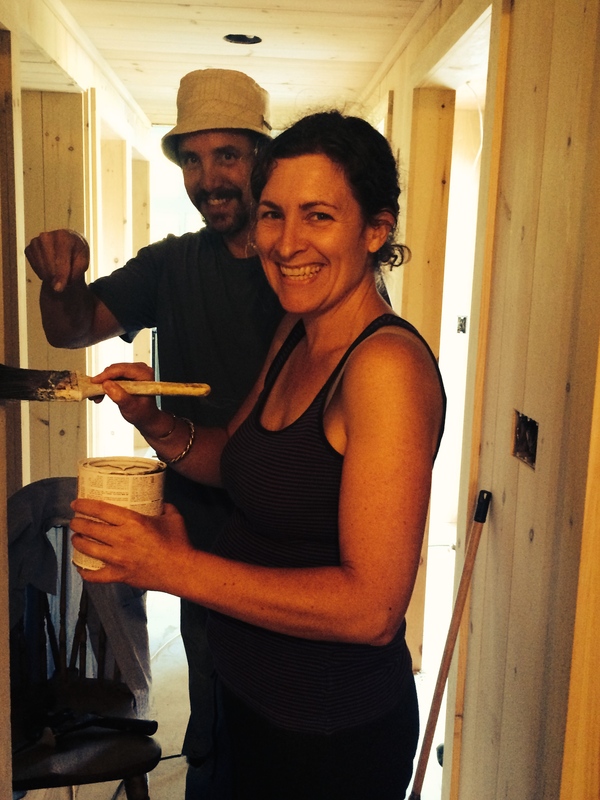 Stephen The Professional Painter was happy to delegate even that task to his wife and the grandparents. 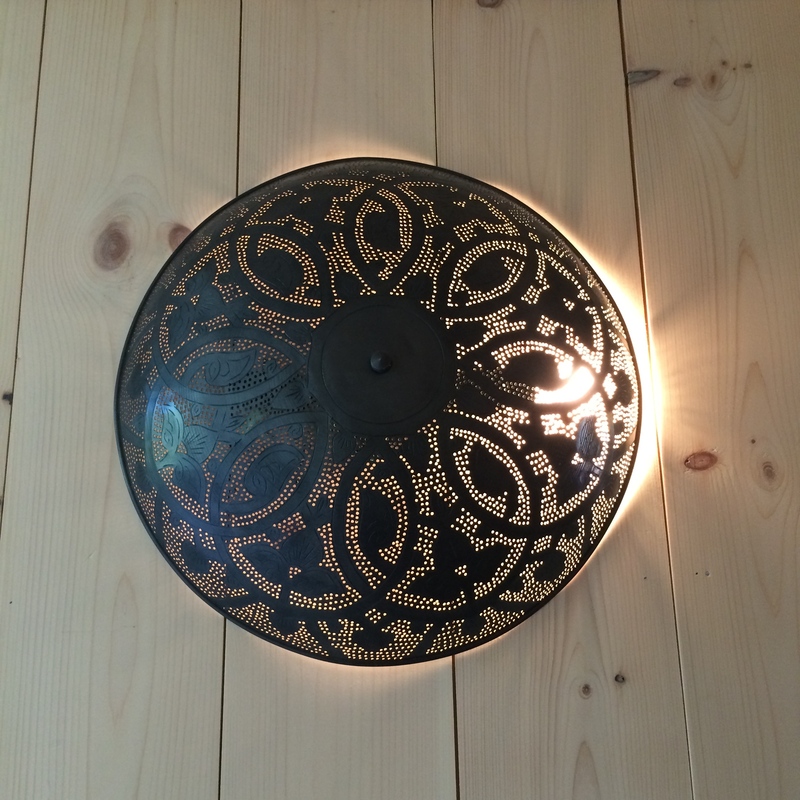 Michelle sourced this punched-tin fixture from an eBay seller in Egypt (where she and Stephen spent a day on their honeymoon). 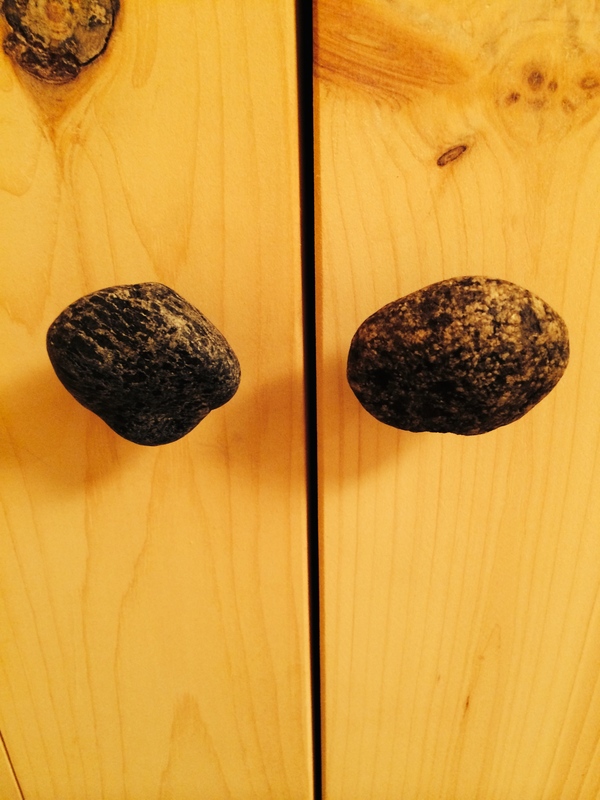 Michelle sourced countless items, like these Maine river- rock knobs for the new accessible Zen bathroom. 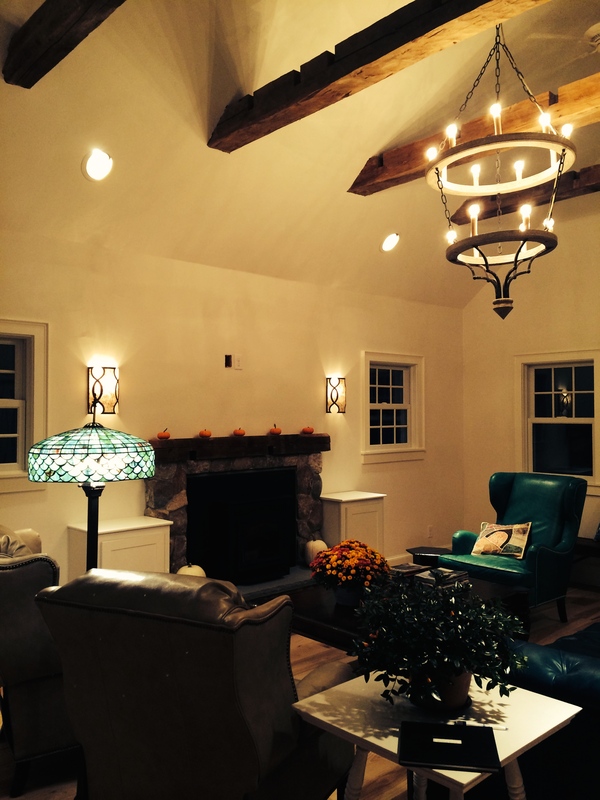 She worked to incorporate meaningful pieces that remind the family of favorite places. Our four parents made themselves available to help, in a variety of ways, whenever we asked. Last month, they even pitched in to complete the remaining big-ticket finishing labor, to lighten Stephen’s final workload, and so we could achieve our completion party date! We are very lucky to have such supportive mothers and fathers. Our hardworking and compassionate friends Heather and Garreth Bowie, who lived through this type of project themselves, were instrumental in helping us finish when we were most weary. They just kept coming back to help with remaining tasks, despite being busy parent-caregivers themselves. We are so grateful to them for their steadfast commitment to what was really carrying us across the finish line. Last but certainly not least of the many subcontractors on The BARN Project was Rye Beach Landscaping, and what a job they did. The yard was a mess from demolition and construction, and they transformed all of the land immediately surrounding our house. 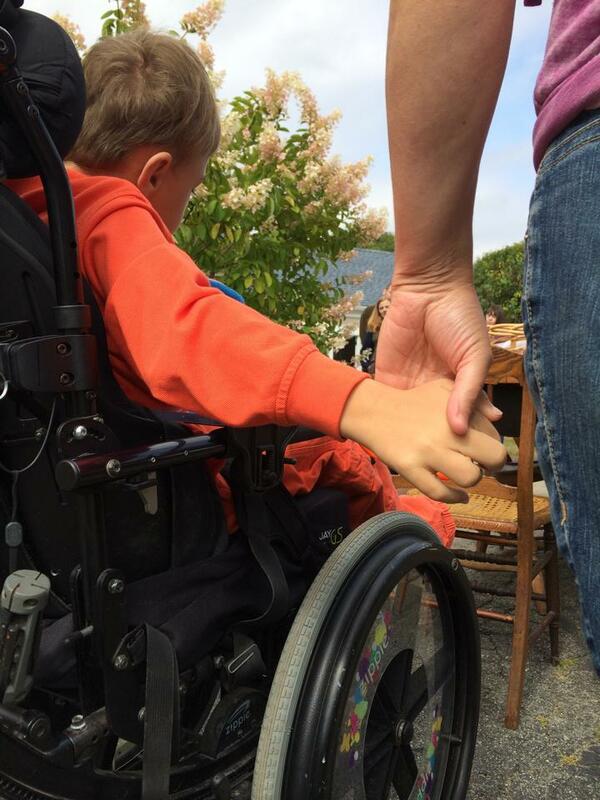 What’s more, they widened and professionally paved the walkway to Miles’ wheelchair ramp, optimizing it for his use. And they built us the firepit we were dreaming of, complete with fabulous rock benches, but also with space for a wheelchair. The firepit makes perfect use of the pile of huge fieldstone retrieved from our old barn foundation, and was ideally sited on the old embanked site of our above-ground pool. 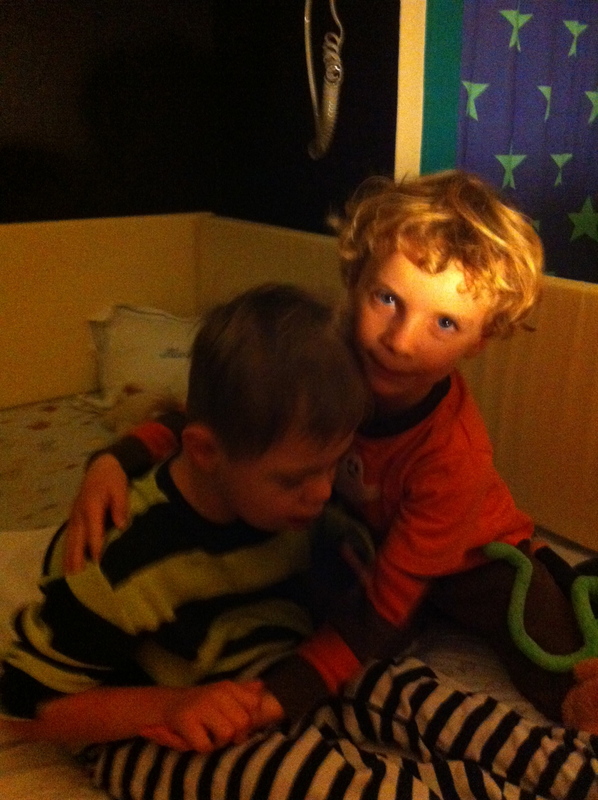 Now, instead of missing out on friends’ bonfires because of Miles’ early bedtime, we can have our own bonfires whenever we want, without compromising Miles’ care. What an empowering and lasting gift of respite for Stephen and me. 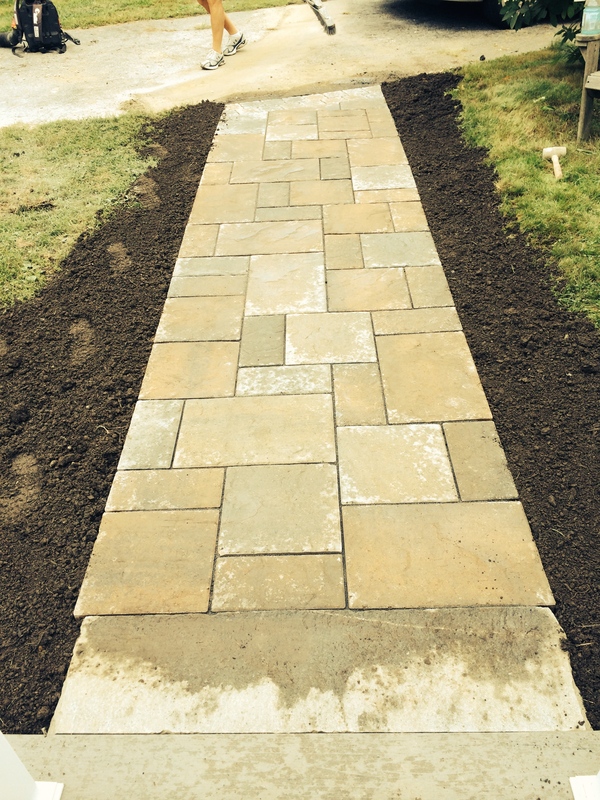 Rye Beach Landscaping totally rebuilt our walkway to Miles’ wheelchair ramp. 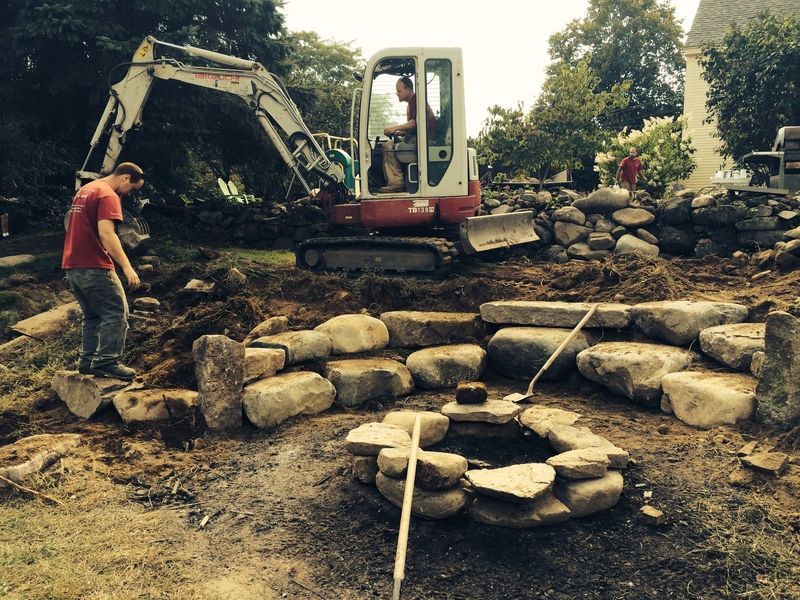 Their project manager asked to watch Miles’ maiden voyage on it, which elicited big smiles from M.
Rye Beach Landscaping took Michelle’s firepit idea and implemented it, with skill and artistry. Through it all, our GC Jason Lajeunesse coached us and provided whatever support we needed, until the very end. We remain amazed at the many “pieces of the puzzle” that he coordinates with such organization, finesse, and patience. It felt great to have him wait for our inspection in the new armchair in the new room that he built for us. 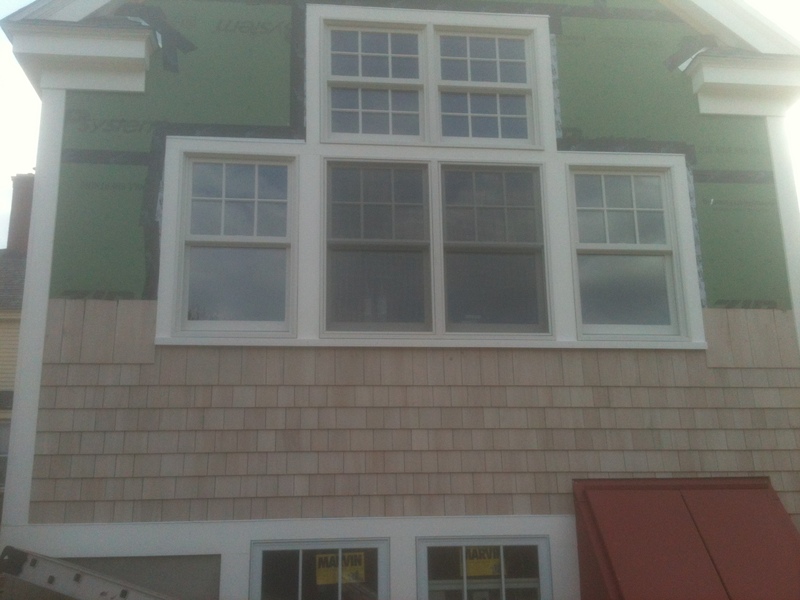 And yes, we now have our certificate of occupancy! 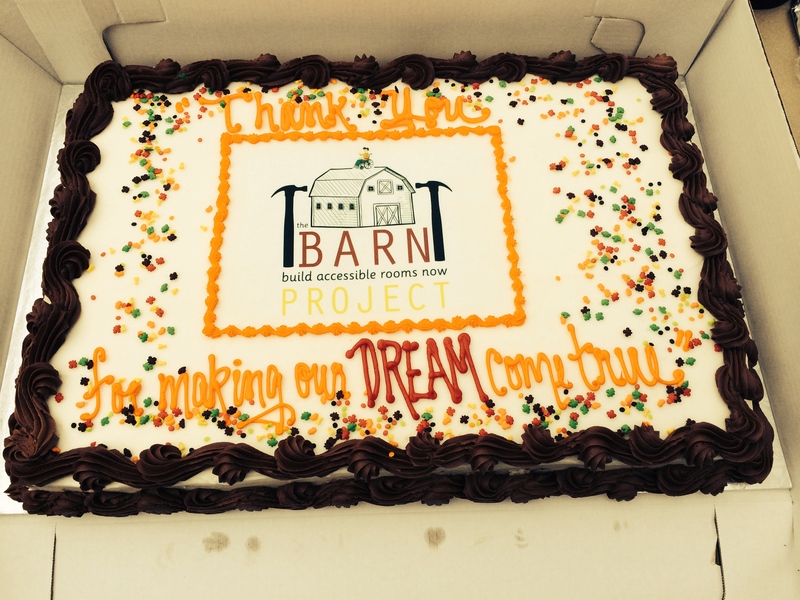 On September 20, we celebrated the completion of The BARN Project with a big, beautiful party. We were so proud to give tours of the new addition, showing off so many types of beautiful materials and work that so many people have provided. It was a Thanksgiving-style potluck meal, because we were very much giving thanks. 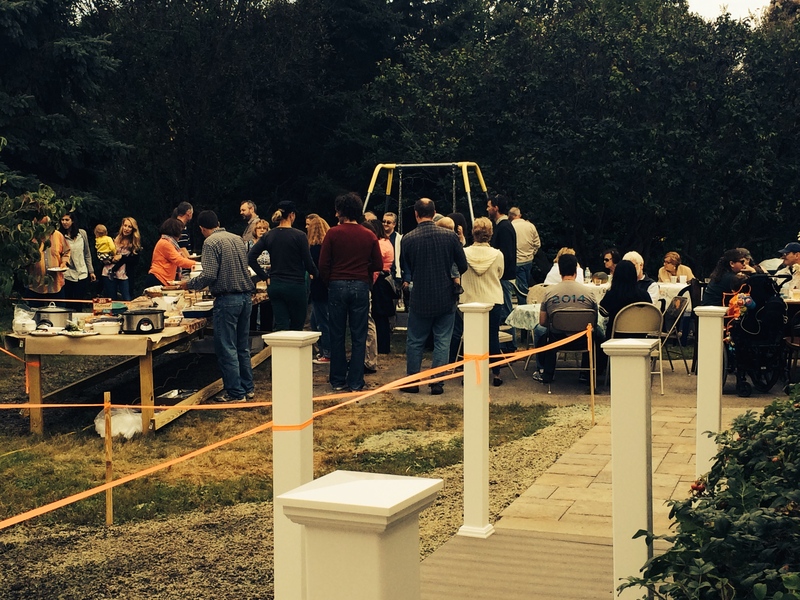 Long tables filled our driveway, so we could all eat together. Pastor Jim Shook of the York-Ogunquit Methodist Church gave a blessing for the new space, and for our family. There was a giant thank-you cake made, complete with the project logo that I designed. We even took the opportunity to belatedly celebrate Miles and Zane’s 2014 birthdays with a bounce house and some piñata-smashing. It felt SO GOOD to share this major accomplishment with our friends and family, and to honor Jason’s vision and commitment. 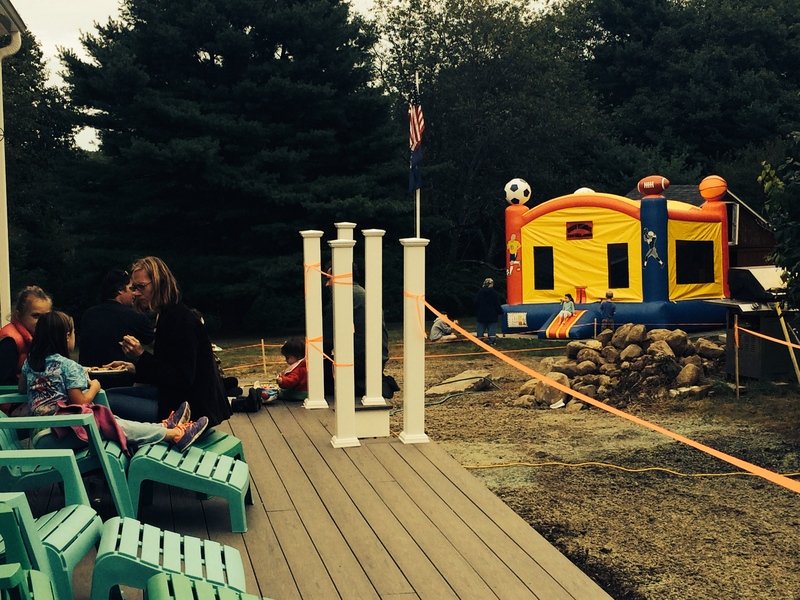 The kids loved the bounce house at the party. We had an amazing feast of thanksgiving with friends and family at the reveal party. Since the party, Stephen and I have begun a major transition, saying goodbye to working overtime nights and weekends, and starting to focus on just spending time together and with our sons. No surprise, we all caught a virus the first week. Last weekend, on the upswing, the four of us gathered and relaxed in the new Great Room for the first time, and it was a pretty incredible feeling. This weekend, Stephen finished moving the TV into the Great Room, making it our official new primary hangout. The now TV-free living room, where my antique piano lives, is now becoming our music room, which is also very exciting for this musical family. After the party, we found ourselves staring endlessly into our new “East Wing,” just to process what has been done here. Even after a year of witnessing daily progress in this emerging space, having our longtime vision now fully realized and built by teams of caring hearts is still not an easy thing to fathom. 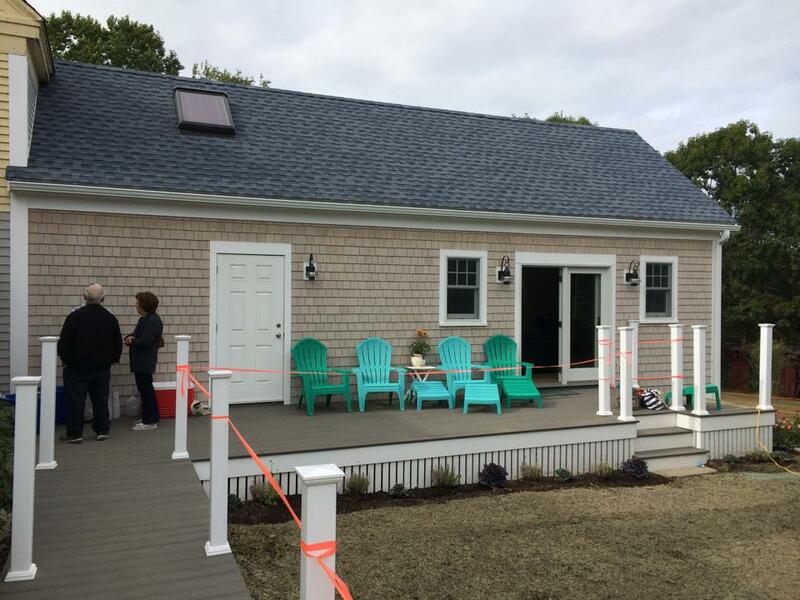 What an extraordinary amount of help and hands it took to rebuild an addition that’s accessible. 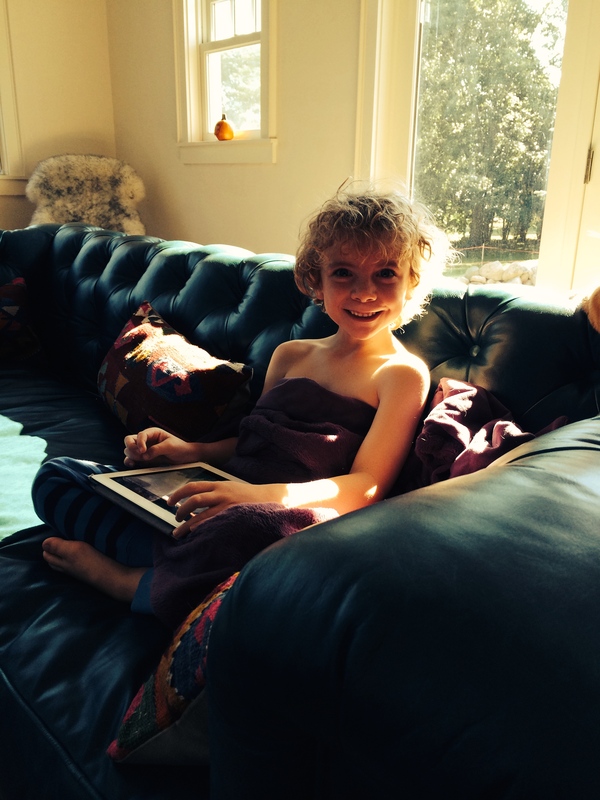 We are so thankful for the accessibility tools to keep our beloved Miles in our care at home. Please take a minute to look at the huge list of everybody who helped us with this project, at https://thebarnprojectformiles.com/contributors/. 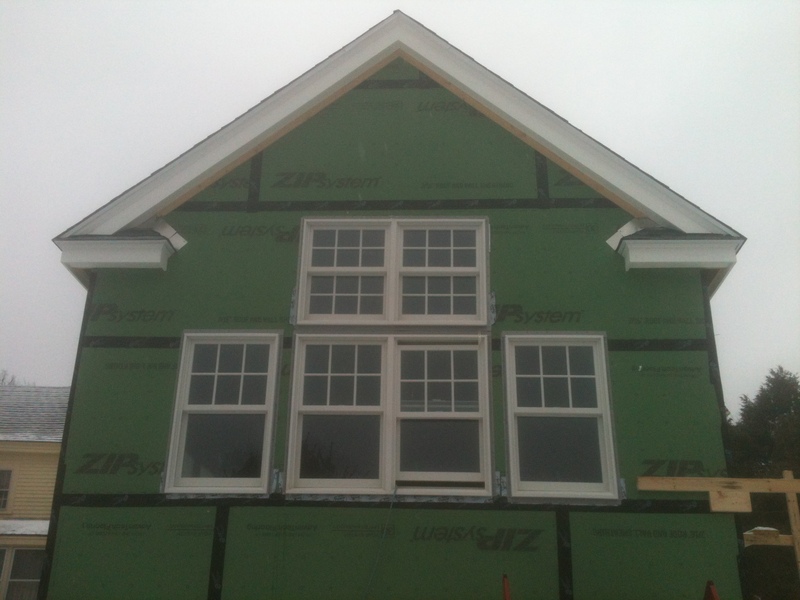 We humbly ask that you consider hiring these contributing subcontractors for any of your own future construction needs. To everyone who helped in some way, we thank you deeply. You have helped to make this our “Forever Home,” and a place where we can adequately care for Miles as he and we grow older. We can stay in our beloved house, put down roots here, and focus on our family and raising our children with less worry, and less stress. To Jason, there’s simply no way to adequately thank you for selflessly starting and coordinating this entire project. You and your wife saw and answered a need that is rarely understood, or even considered, in our society. We pledge to do what we can to “pay it forward” with empathy and gratitude. Jason willingly spent many Saturdays at our house coordinating the phases of the project. He even jumped in to provide labor when needed. 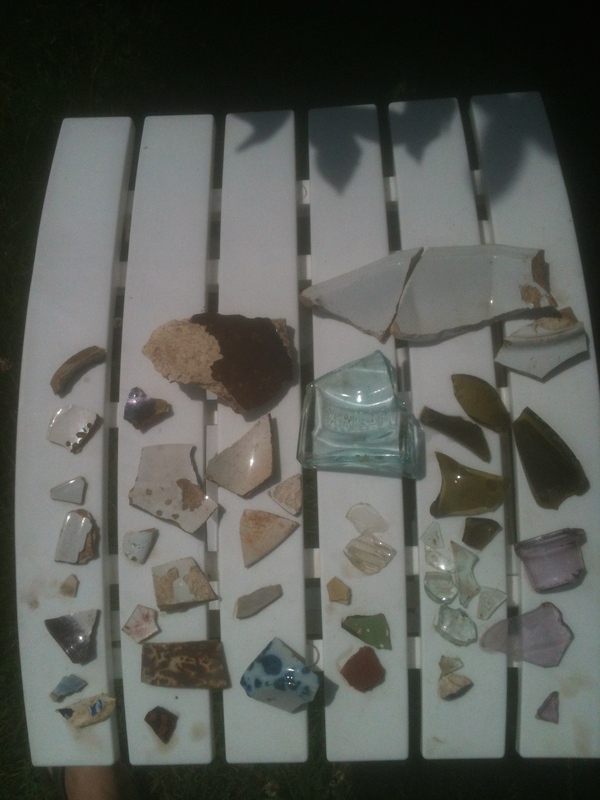 This is just some of the “buried treasure” we found during and after demolition at our 1770 house. 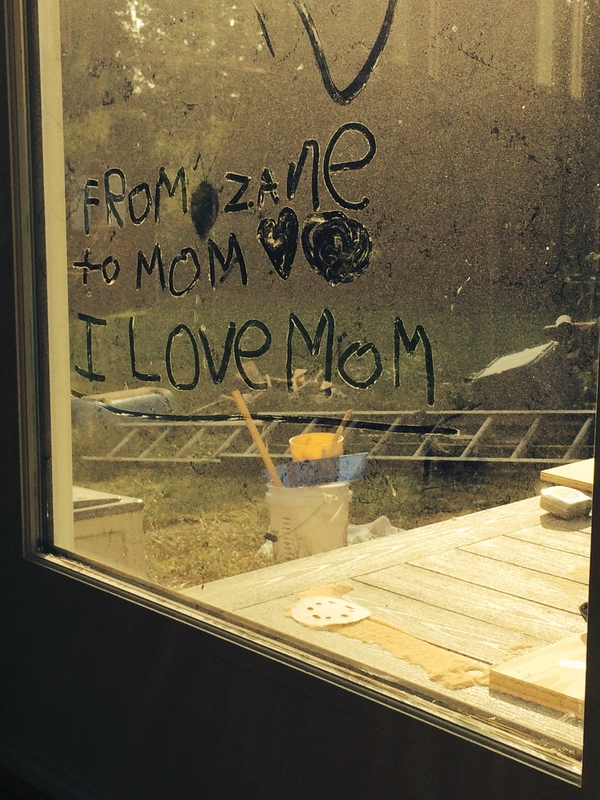 Our trooper Zane spent many weekends entertaining himself while Mommy & Daddy worked. 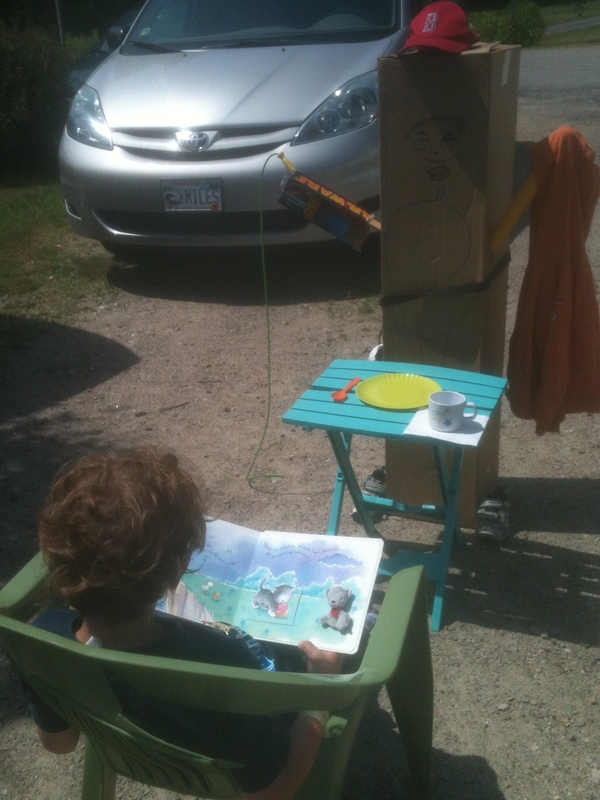 Here he’s reading to a robot that he built. We’re giving him extra TLC now that we’re done. 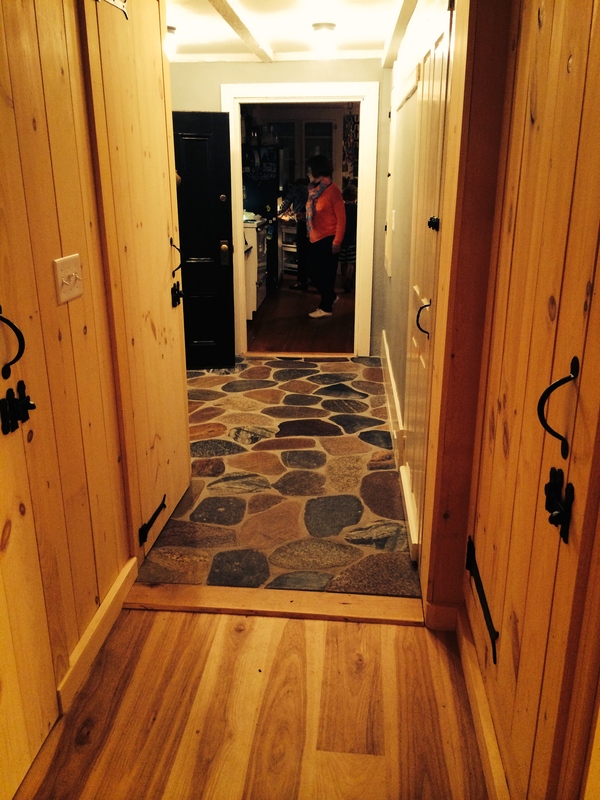 A view of the totally renovated mudroom from the new hallway, which is extra-wide for Miles’ wheelchair. 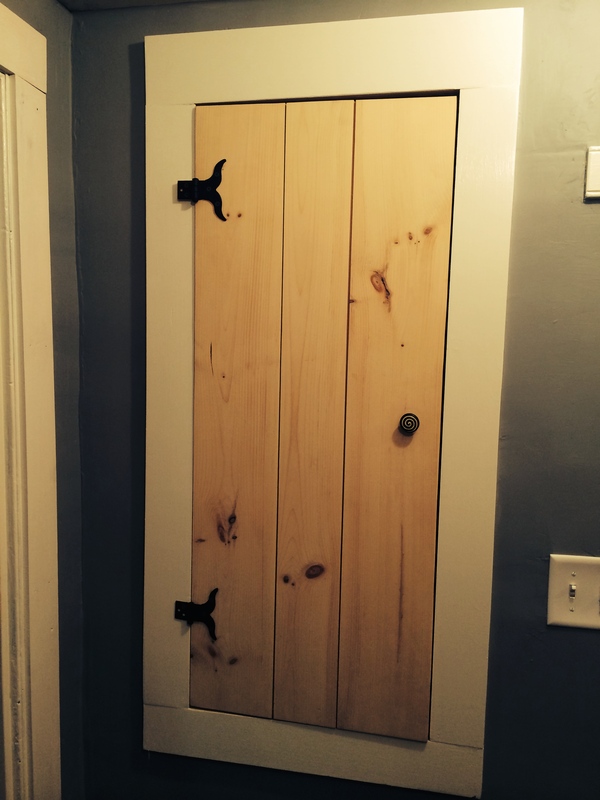 Stephen opened up the mudroom wall and stole space above old hidden stairs to make a new closet! 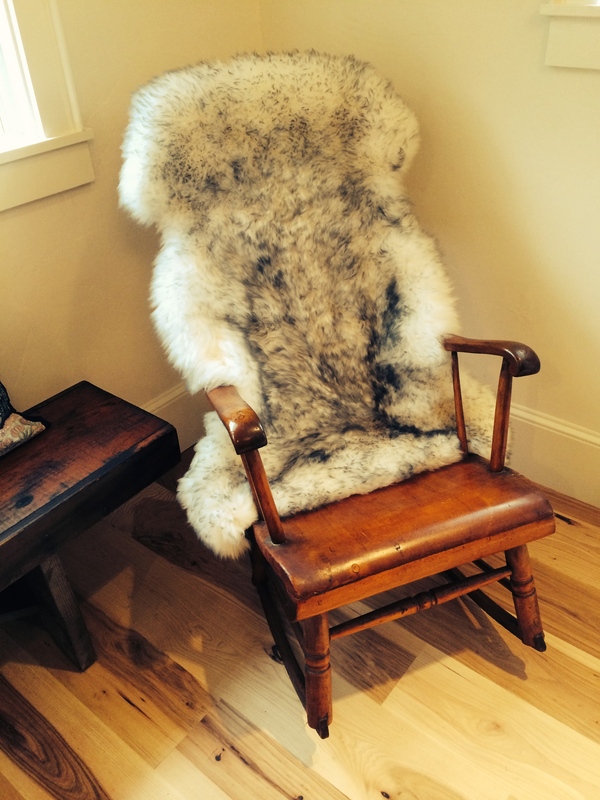 Michelle found this awesome floor-sample chair on clearance. 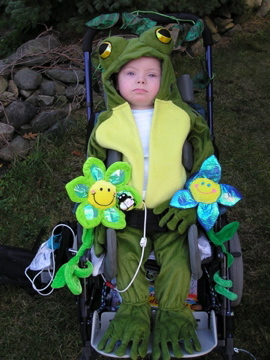 A permanent space for Miles’ wheelchair is to its right. Michelle & Stephen purchased this amazing huge coffee table for a song ten years ago, right after moving here, with the dream of finishing the back barn space someday. Zane enjoys the new Great Room on the new couch for the very first time. 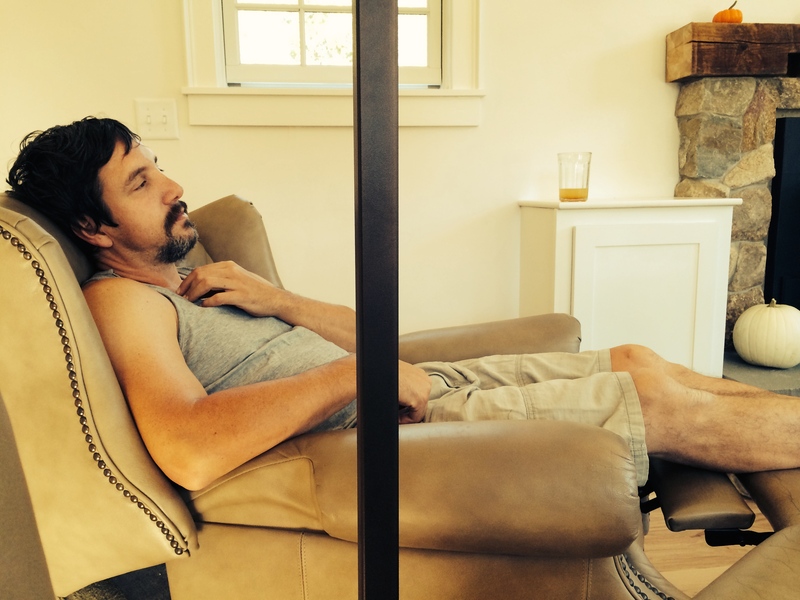 Stephen finally kicks back and relaxes in the room that he helped build. Our first bonfire in the new firepit was a thrill. 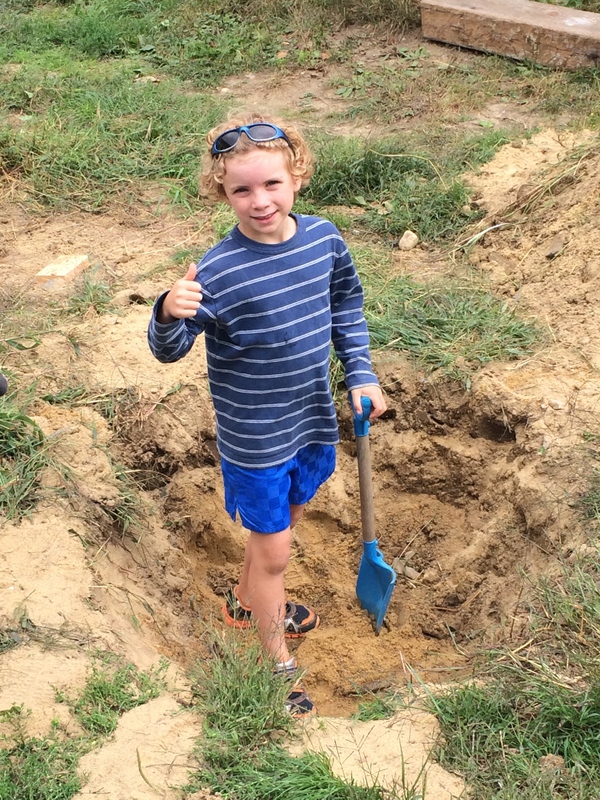 Zane was a great helper to us during the project. Little moments of shared love and joy energized us when the project felt difficult. 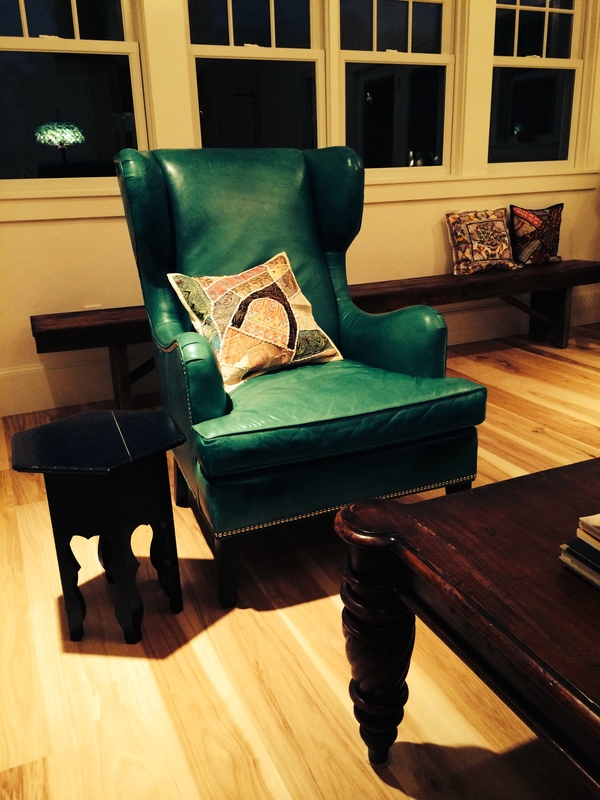 This beautiful rocker from Michelle’s maternal grandfather’s ancestors now graces the new space. 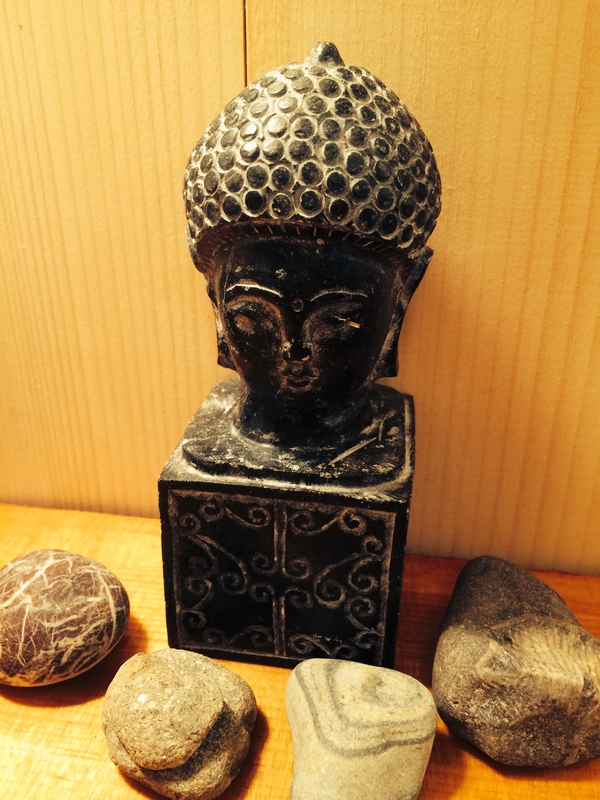 No Zen bathroom would be complete without a Buddha and some exotic rocks from both our own beaches and faraway places. 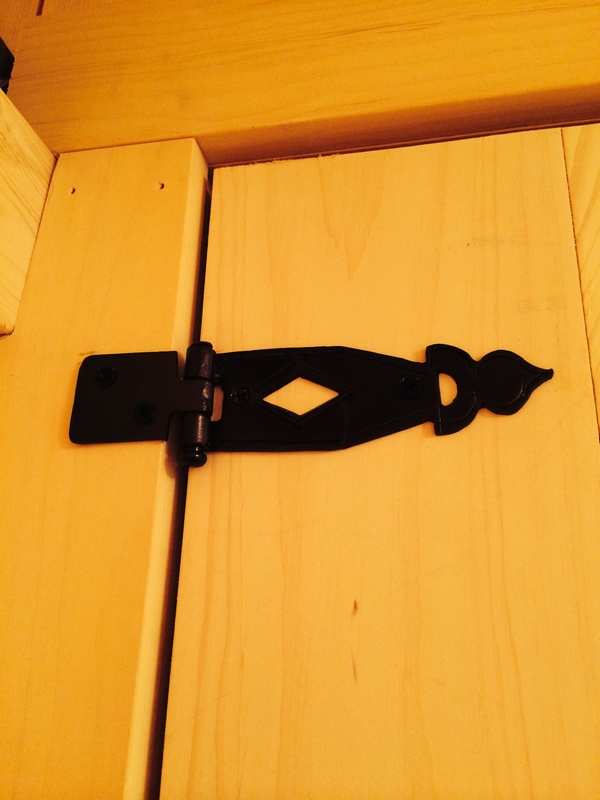 Bathroom closet hinges hail from Mexico, one of M&S’s favorite places. 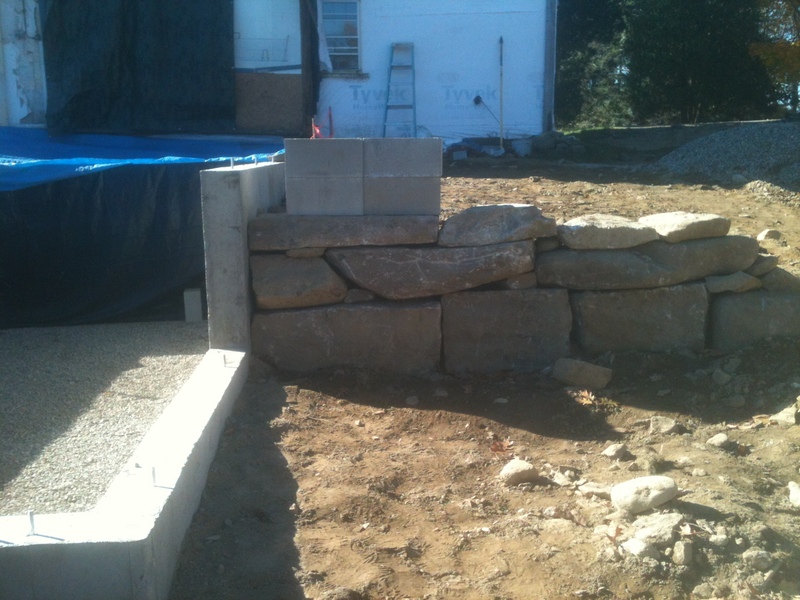 Millstone Masonry built this extraordinary rustic stone fireplace surround. 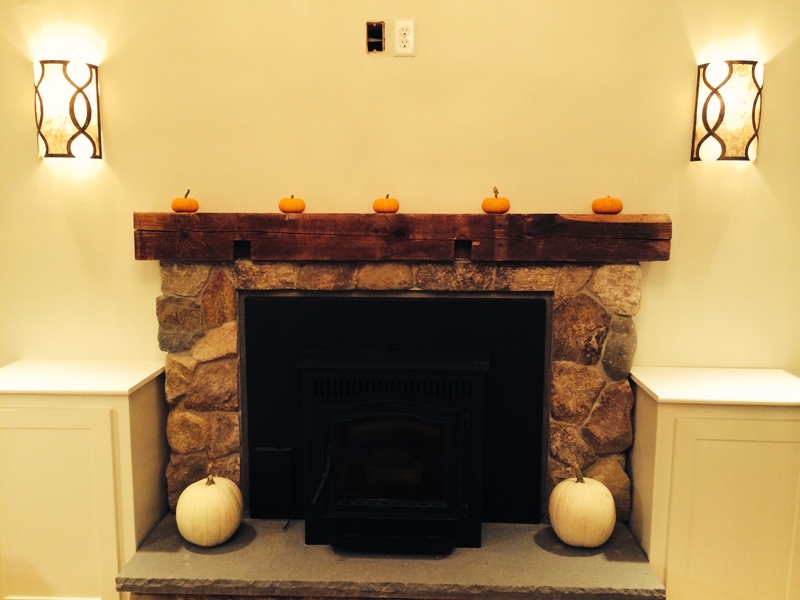 The mantel is a reclaimed beam from the original structure. 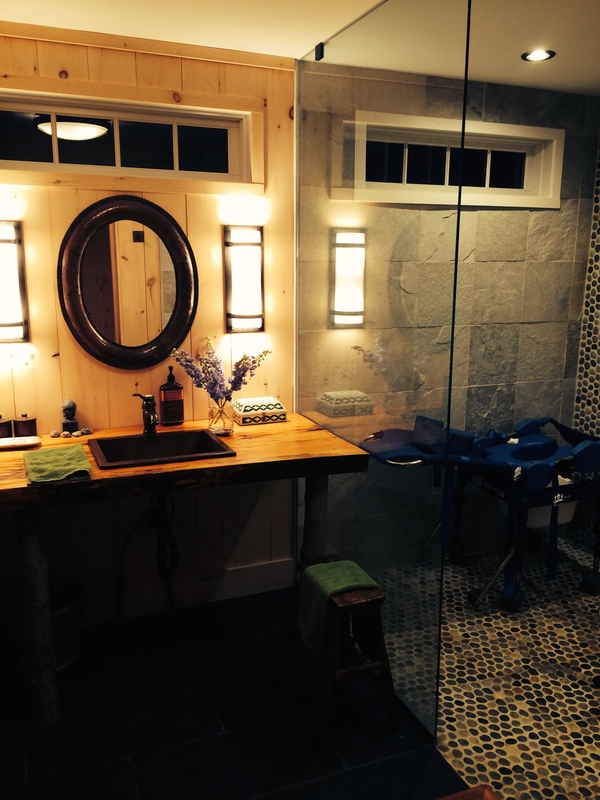 Stephen & Michelle’s concept for the new bathroom was to finish it with entirely organic materials. When you enter it, it feels like you’re going outside–a very soothing effect. 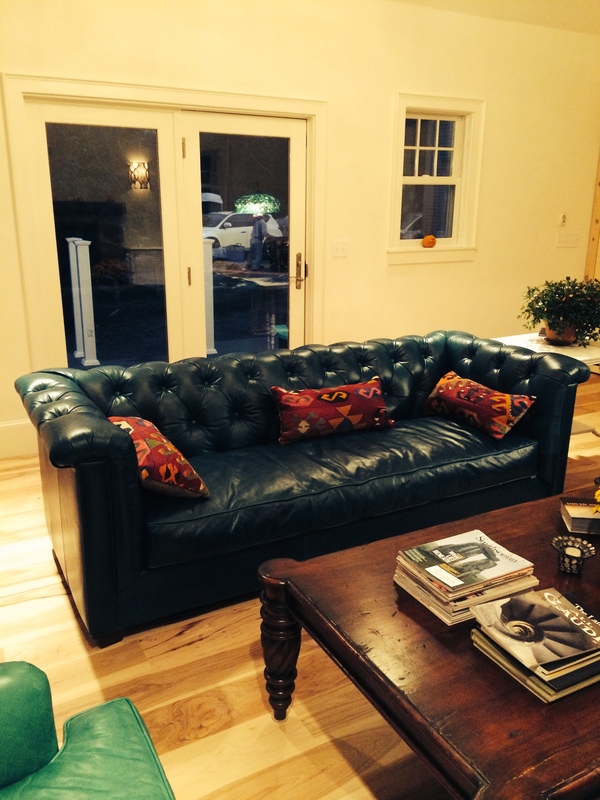 Michelle found this teal leather Chesterfield sofa on clearance as a floor sample. Score! We did this project to be able to provide for our special boy, who endures more than most people ever will, and requires total care. The week after the party was such an emotional release for us. We are proud to have worked so hard on this addition ourselves, and so thankful for the help and support of “our village.” It feels great to be done. THANK YOU! After a brutal winter here in Maine, it is finally warming up outside to assist our final phase. 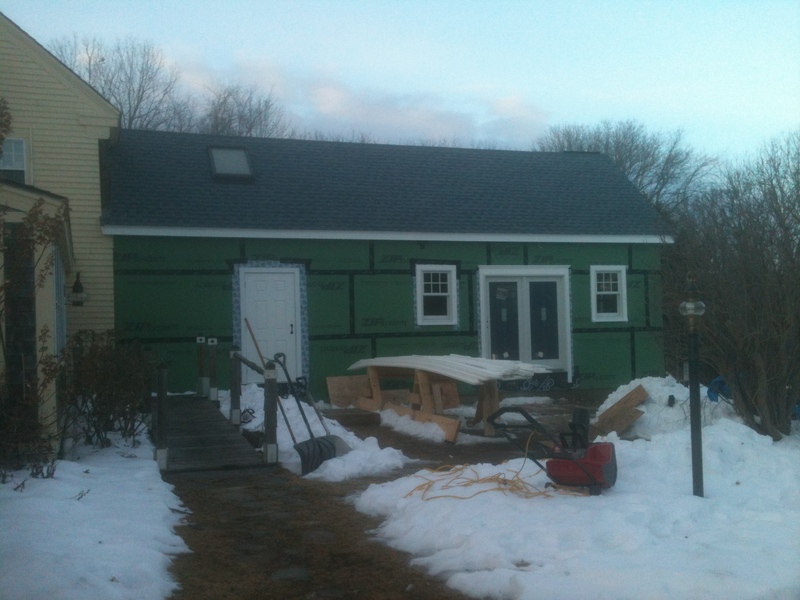 Stephen has worked diligently through the winter on the project with awe-inspiring motivation, endurance, and patience. 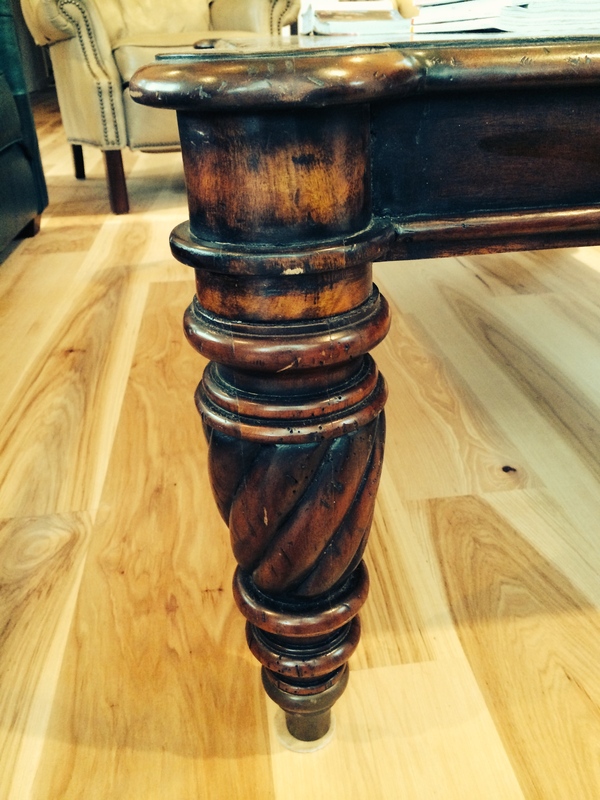 He has provided a considerable amount of the interior labor himself, especially carpentry, and does beautiful work. He will need some serious time off when this is done! 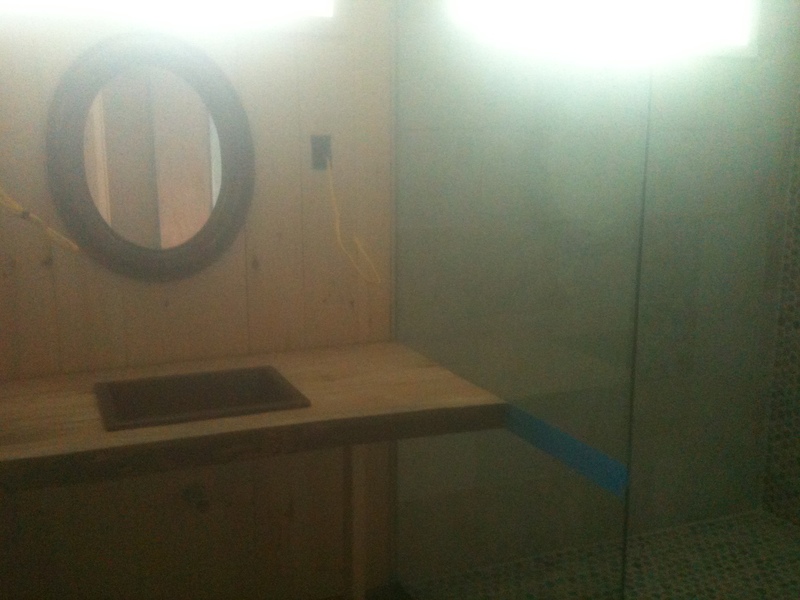 The bathroom has been tiled and the glass shower wall hung, and it looks AMAZING. 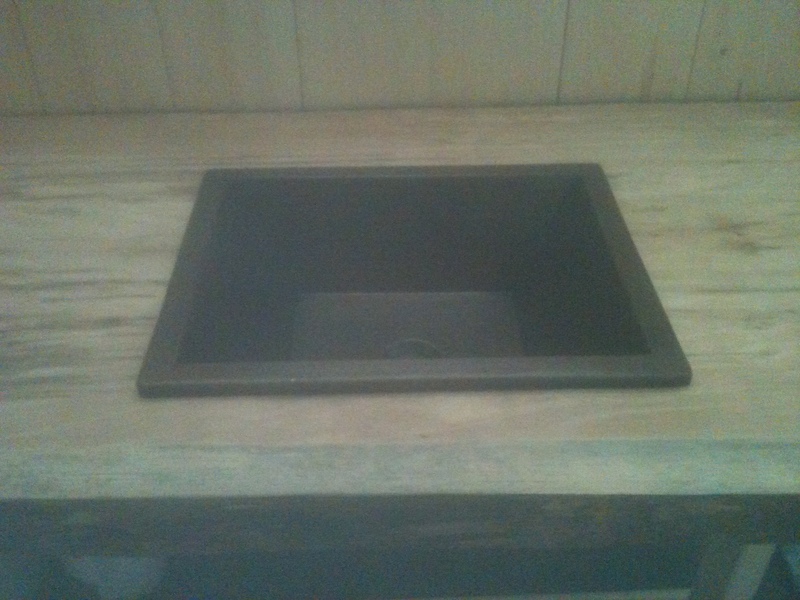 We found a fantastic 3-inch-thick tree slab sink surround locally that Stephen prepped this weekend. 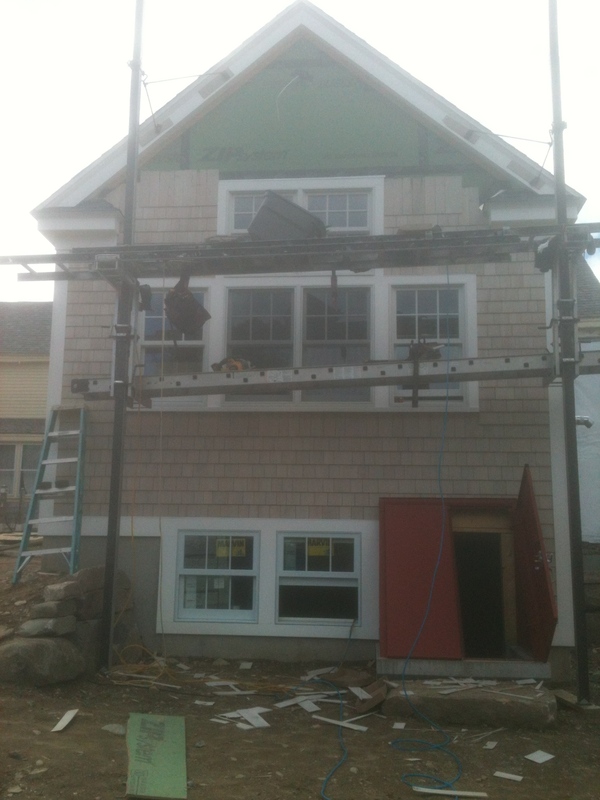 Talented crews are donating their time to hang the exterior shakes on Saturdays. Jason continues to work hard to find new subcontractors and to provide us with all sorts of expert advice and great ideas. Michelle has been busy holding down the homestead, sourcing materials, and planning the space details for usability and accessibility. The grandparents have provided generous support in many ways. 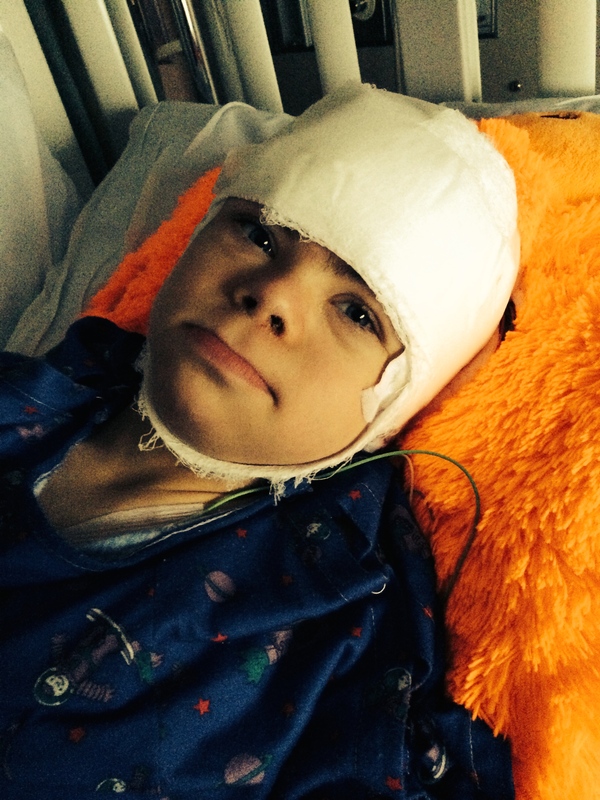 Miles’ home nurses Will and Tammy have provided very helpful staffing for him while we are so busy every weekend. We have been plodding along with consistent progress, but very soon there will be huge payback as the new spaces start to be completed. Right now it still doesn’t seem real that we will actually be using this new home addition this summer. It’s going to be thrilling and overwhelming for sure. Miles is doing very well overall. He just took delivery of a new wheelchair, so we are making sure the new space is optimized to accommodate it. They keep him very busy at his wonderful special-purpose school–he has even started weekly therapeutic horseback riding. We are anxious for him to have a wide-open space for his walker, and for the return of safe bathing in his new shower. 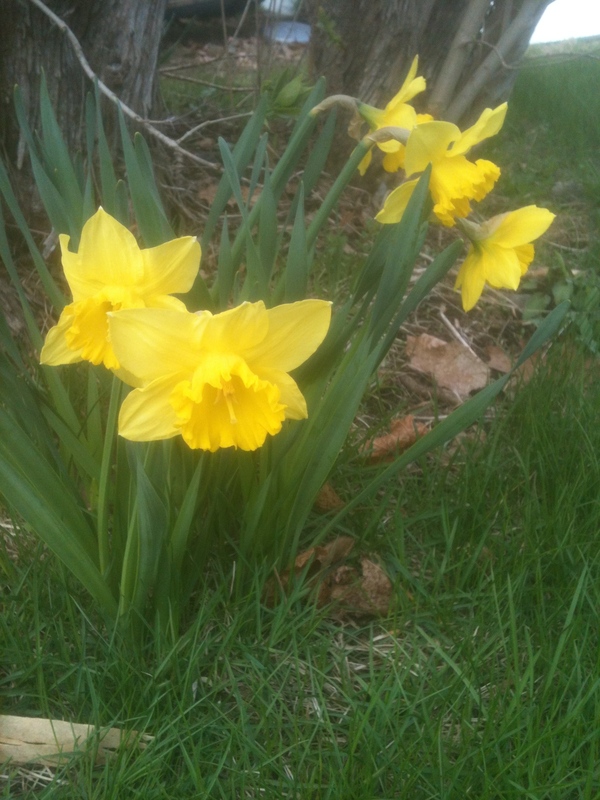 Happy springtime, and stay tuned for the much-anticipated culmination of this accessibility project. It is Christmas Eve, a special time to reflect on our blessings, and here we are. Poor little Miles is sick with a nasty virus, as he always seems to be on Christmas, but he is such a sweet little trooper and still somehow gives us some smiles today. Our family is still rubbing its eyes and looking out the back of our house in disbelief. 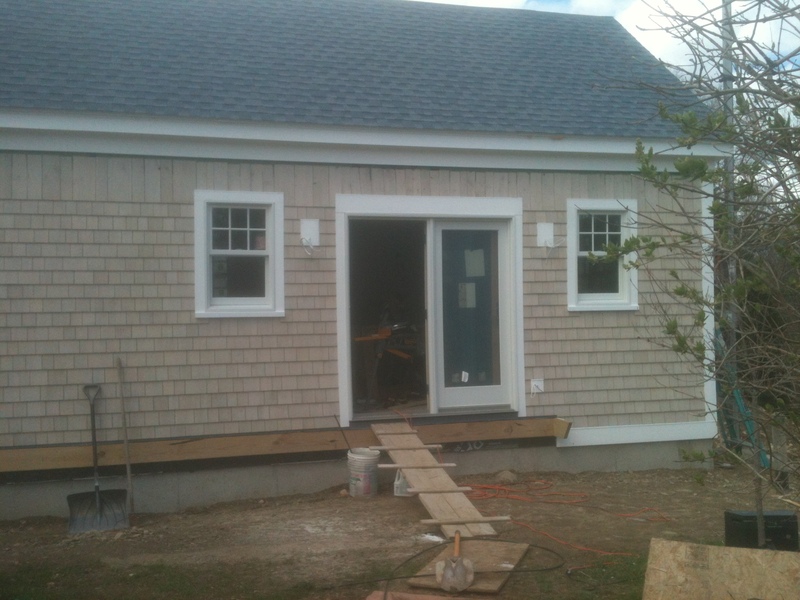 Thanks to Jason Lajeunesse and many giving individuals, we now have a stunningly beautiful accessible addition that is framed, roofed, and weathertight. Windows and doors are in, four original antique beams hang gloriously in the cathedral ceiling, and the personality of the space is starting to shine. Folks have made wonderful unexpected donations that are helping us defray the costs of needed materials that we are now sourcing. It has been a gift to meet the many volunteers on weekends, to invite them in and introduce them to Miles and chat or share a meal. These are real people with their own families and obligations who are choosing to give Miles their time to build something great. Crews of all sizes come and work outside even when it’s frigidly cold, despite rain or snow or high wind warnings. Family helps us get great lunches on the table, and with childcare and last-minute materials pick-ups or you-name-it. Others prepare and transport lunches for crews. Gurus of all kinds advise us on how best to make spaces accessible for Miles’ future as well as present needs. All told, this loving team is turning our house into our “forever home,” a place where we can stay and care for Miles as he grows, and as we age. They’re giving him safe bathing and countless new opportunities for his inclusion, independent mobility, and comfort. That’s a lot of presents, from a lot of people, for our family. We are feeling an off-the-charts kind of gratitude and wonderment about it. Trust me, we go back into the new space all the time to just look around, breathe deeply, and try to process the enormous generosity that it took to get here. We look forward to finishing the project and sharing it with everyone, and then finding ways to pay it forward and to help others similarly in 2014 and beyond. Merry Christmas and THANK YOU for making it an extra joyous Christmas in our growing house. 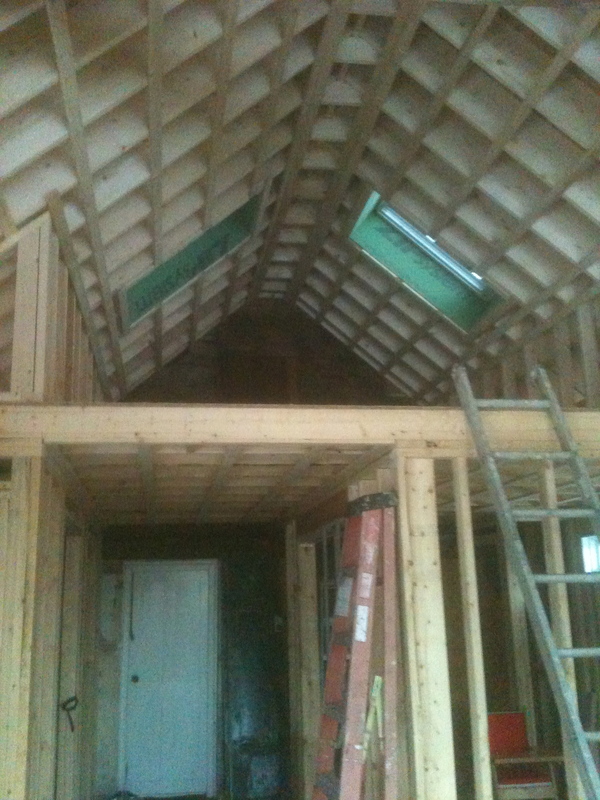 Many volunteers are moving this project along beautifully, and they all have our deepest gratitude. 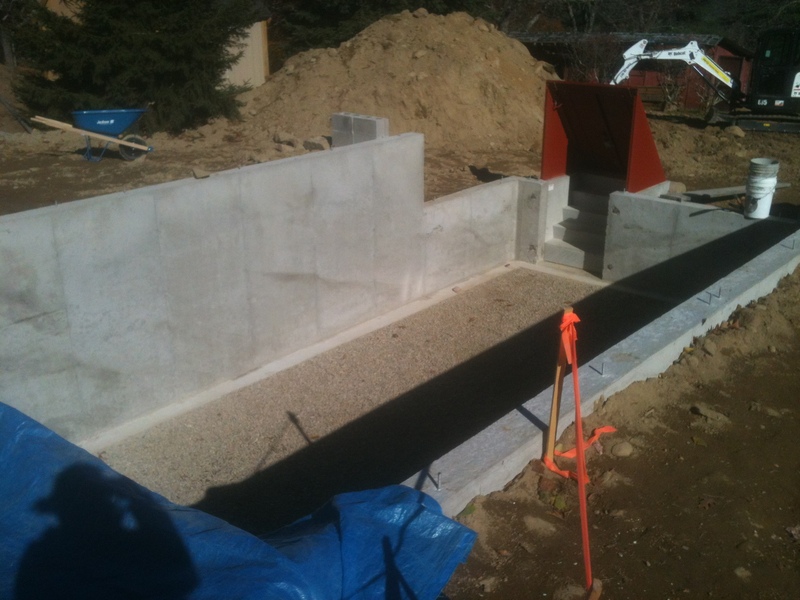 We’re ready to pour the basement floor and start framing next weekend! Check it out. Our builder Jason is working hard to get all the appropriate volunteers. He’s having a tough time finding help in several areas. Can you help spread the word? WHO DO YOU KNOW who can help? 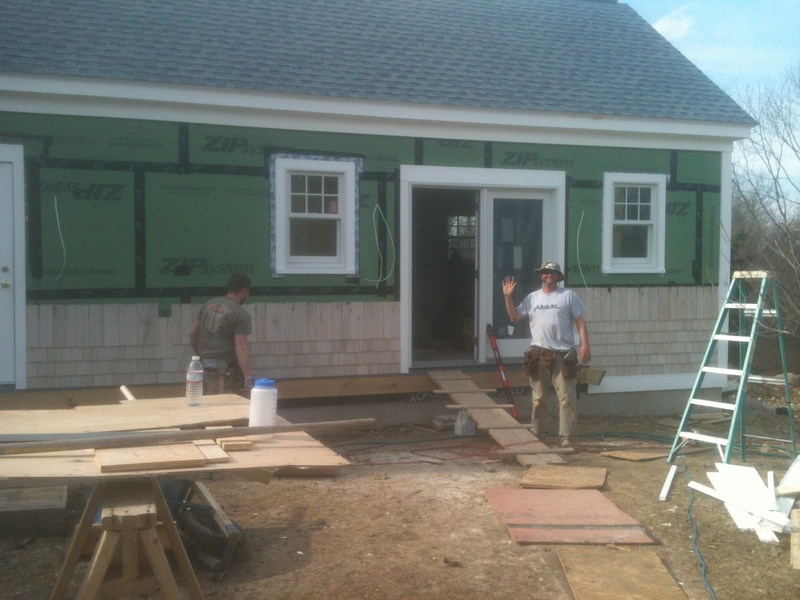 We treat our volunteers very well, tell great jokes on the job site (so WE think! ), and send them off with a surf and turf lunch. 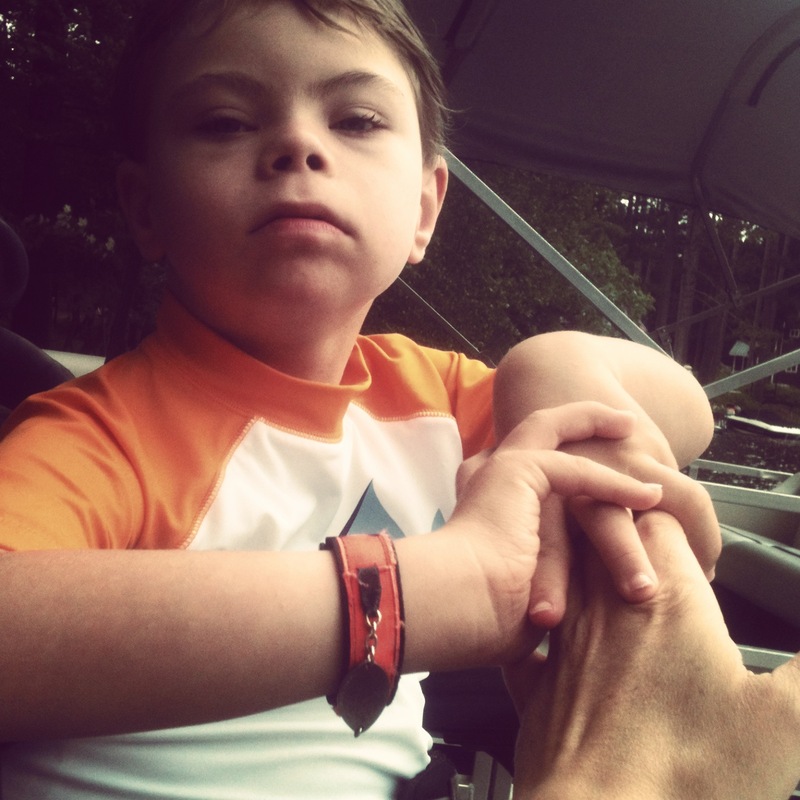 Thanks for spreading the word that Miles’ project needs some extra hands right now. 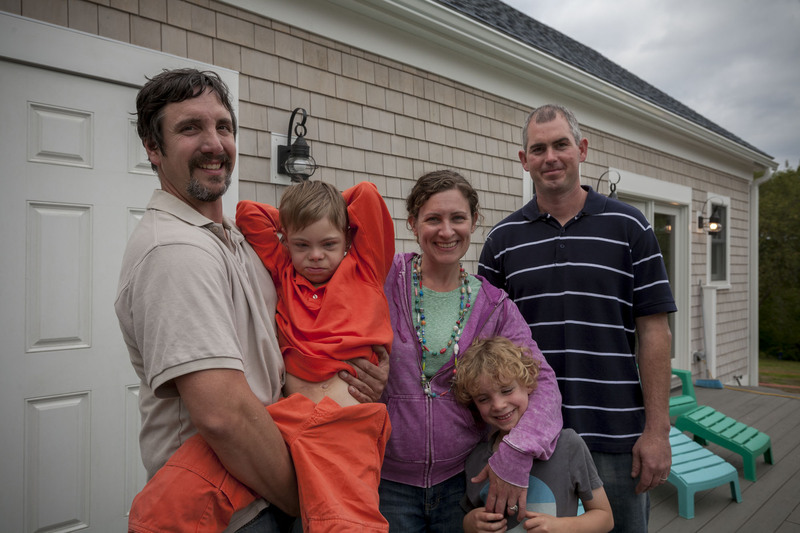 Earlier this year, we went public with a very real need for our severely disabled eight-year-old son, Miles: a more accessible home. It has been our dream for nearly his whole life. As some of you know, sweet Miles requires total care. It is a huge and at times exhausting job, but we’re committed to keeping him home, surrounded by his family’s bottomless love. 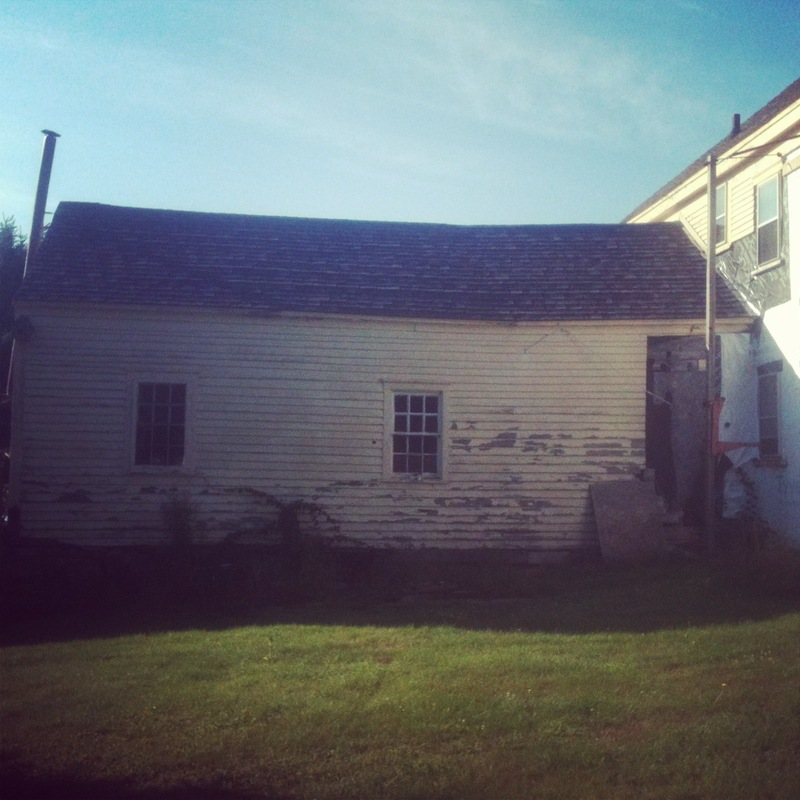 Our 1770 house in Seacoast Maine is old and crooked–and awesome. It’s on a dead end, and it somehow manages to have a first-floor master bedroom for him. We want to stay here; to do so, we just need to make it more accessible for Miles, and easier for us as his caregivers. 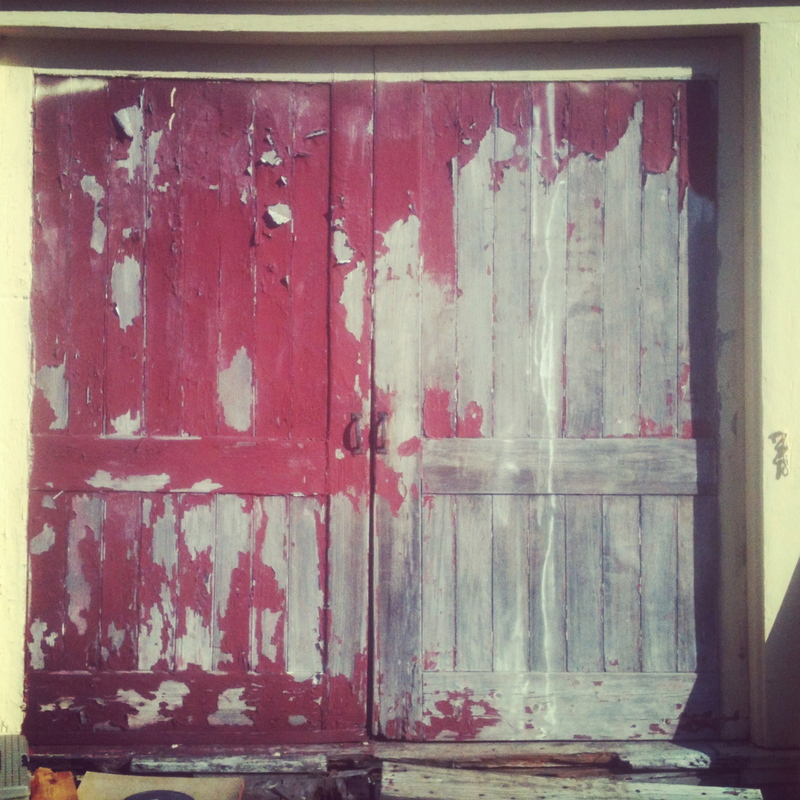 We have a really cool unused part of our house: an old attached livestock barn. After doing some informal “feasibility studies,” we’ve determined that the most cost-effective way to add accessible space is to tear it down and rebuild it. 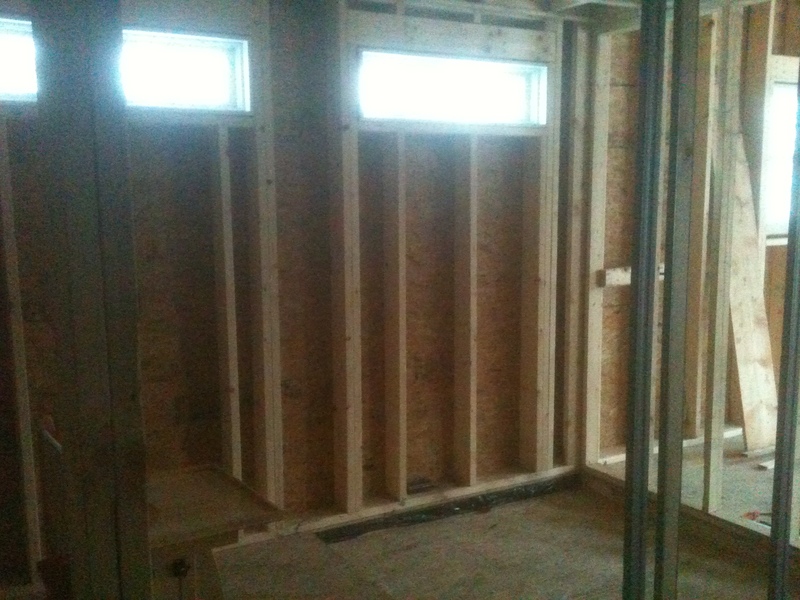 This will provide a critically needed second bathroom with a walk-in shower for safe and easy bathing of Miles. 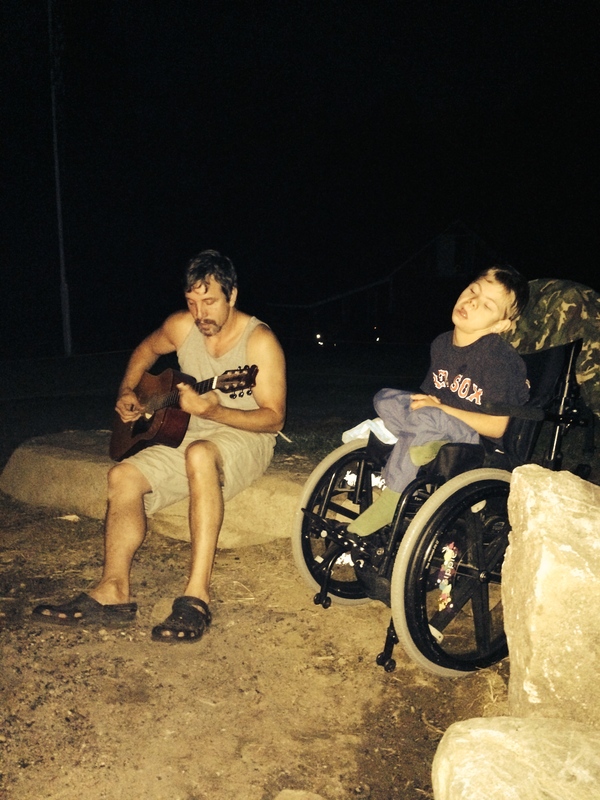 It will also provide an ample 16’x23′ accessible great room that will allow him to slowly continue to learn to walk, as well as desperately needed storage space for all of his bulky equipment and supplies. We’ve gotten several bids on the job, and the price tag for the project is at least $100K. Quite frankly, we have been loathe to ask for any financial donations just several years after our “village” rallied to get Miles a beautiful new accessible van. 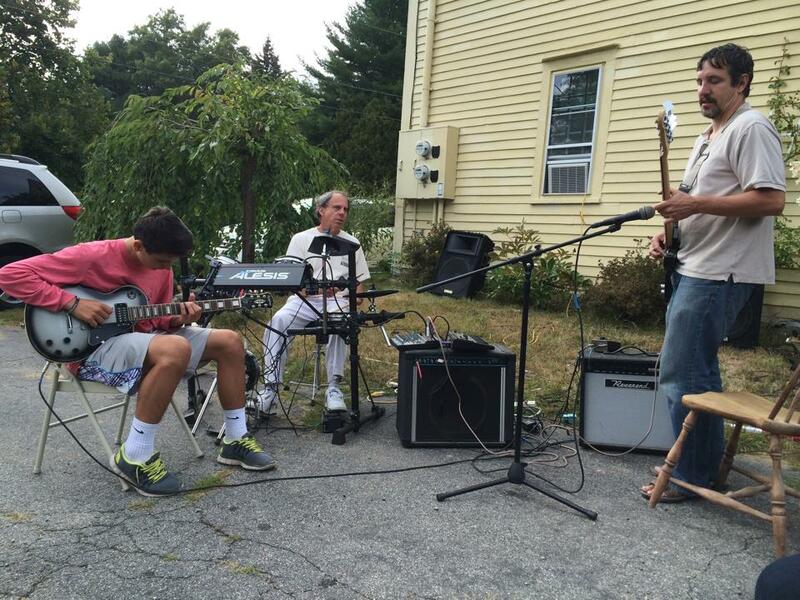 Instead, we have been planning to write, record and sell an album of offbeat lullabies, to defray our building costs. That will still happen. But, last month, we met a builder who has changed the entire game for us. 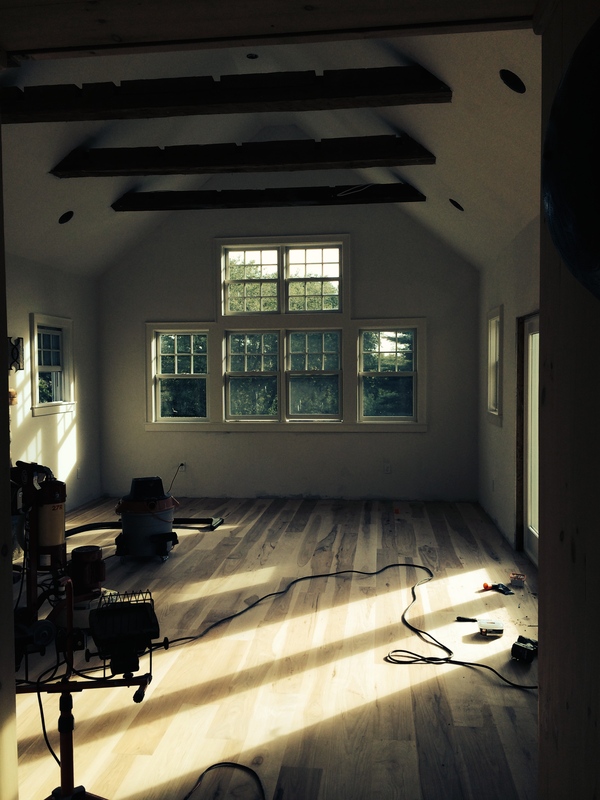 Jason Lajeunesse, owner of JDL Building & Remodeling in Greenland, NH heard our story and decided to do something pretty amazing. 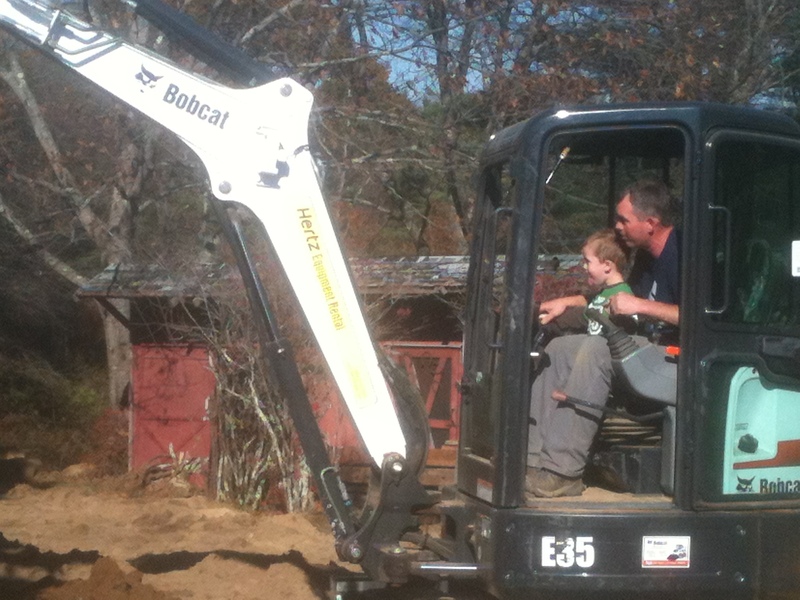 After helping our friends the Bowies with their own accessible home addition for their son Aidan, Jason decided he wanted to once again donate his time as a general contractor, this time for our project. Anyone who knows the building trades understands how very generous this is. Jason is also seeking contractors and vendors who are similarly willing to donate services and/or building materials. Already he has lined up an amazing number of them! Check our “Contributors” link on this site and be astounded. This BARN Project is taking on a life of its own, and we are so humbled that others want to help Miles by helping us to defray the many associated costs. Volunteers and contributors are still needed for many items and jobs in the construction process. We will be thanking all of them publicly in the press and on our social media sites as part of our campaign. Do you know anyone on the Seacoast who might help us? Groundbreaking for the project is scheduled for October 19, 2013, right after Miles recovers from hip surgery. Come out and join us to celebrate with coffee and donuts at 10 a.m…you might even make it into the newspaper or on TV! 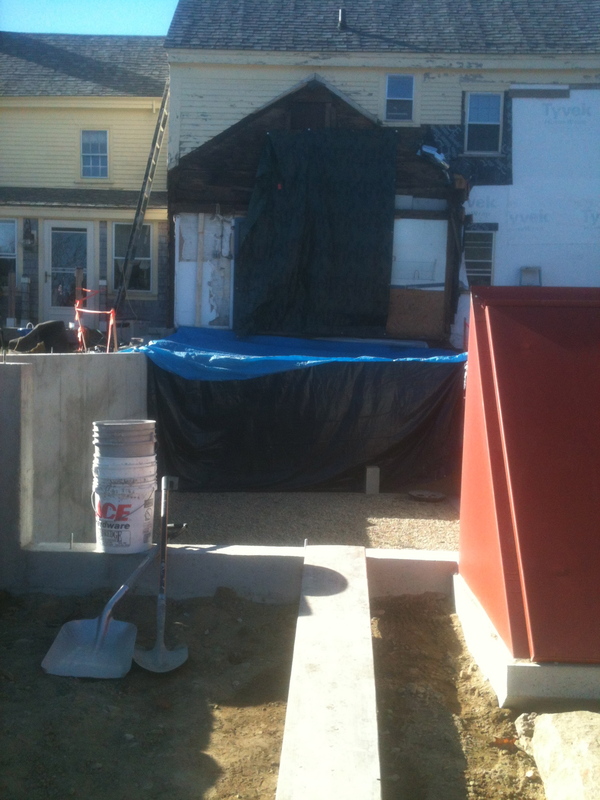 Stay tuned as Miles’ barn is rebuilt, accessible-style, with the help of many guardian angels. And thank you for joining our journey.